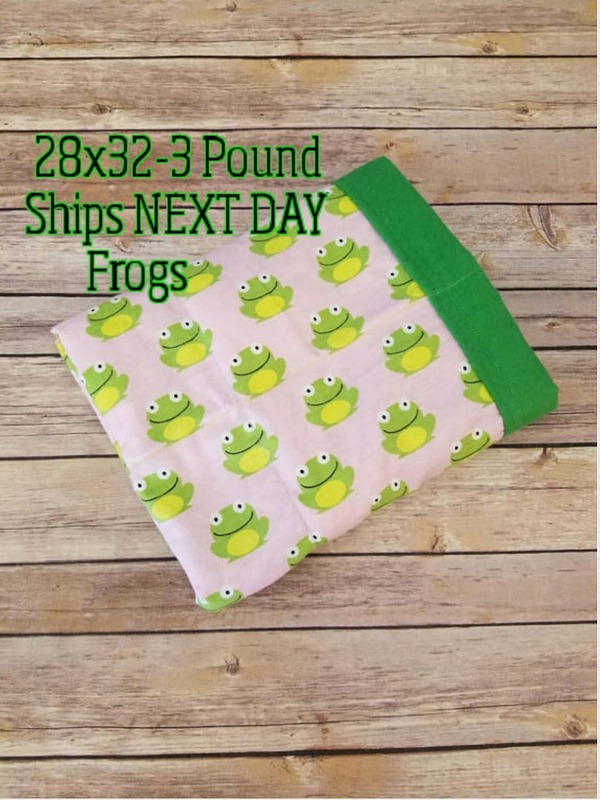 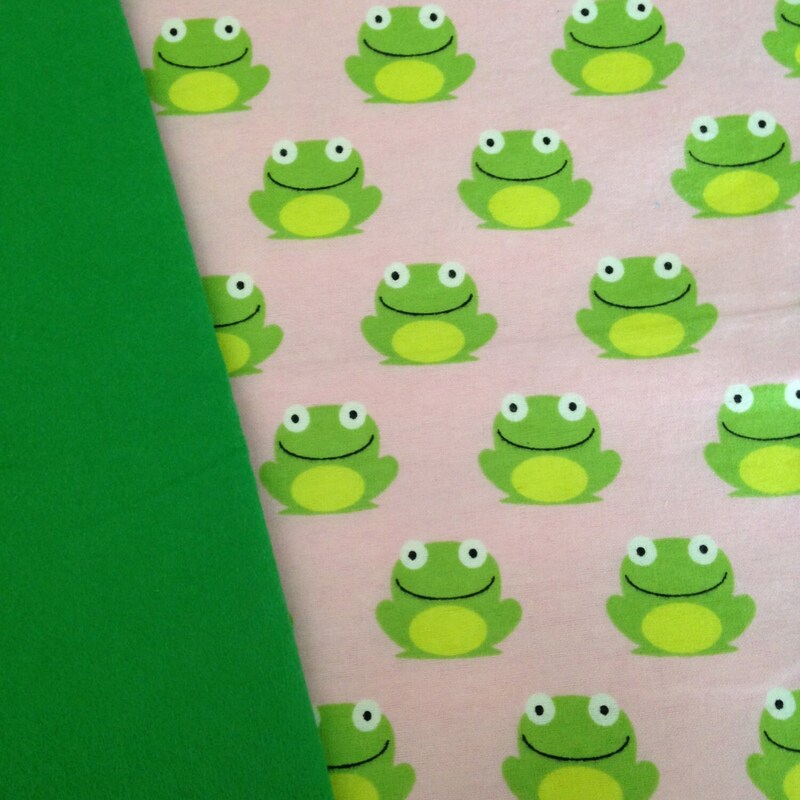 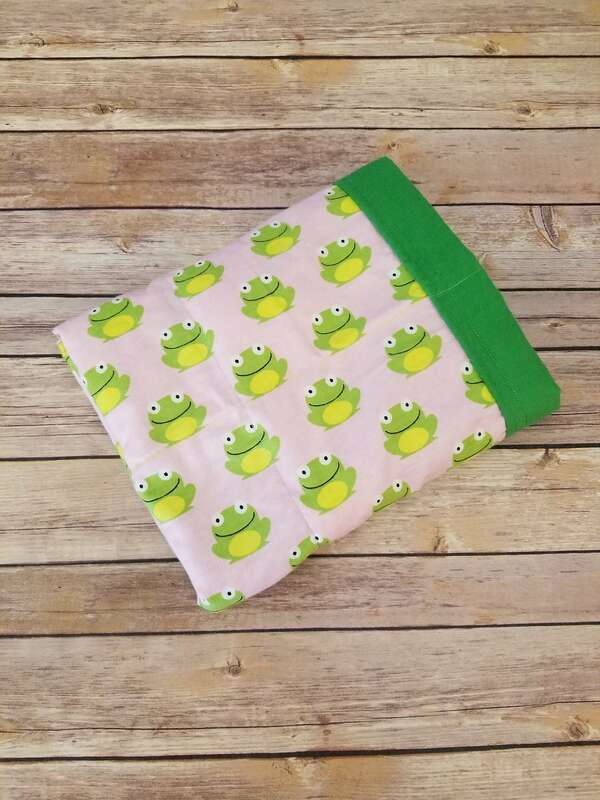 Made from Bubblegum Frog themed fabric and backed with a coordinating green snuggle flannel fabric for added softness and texture. 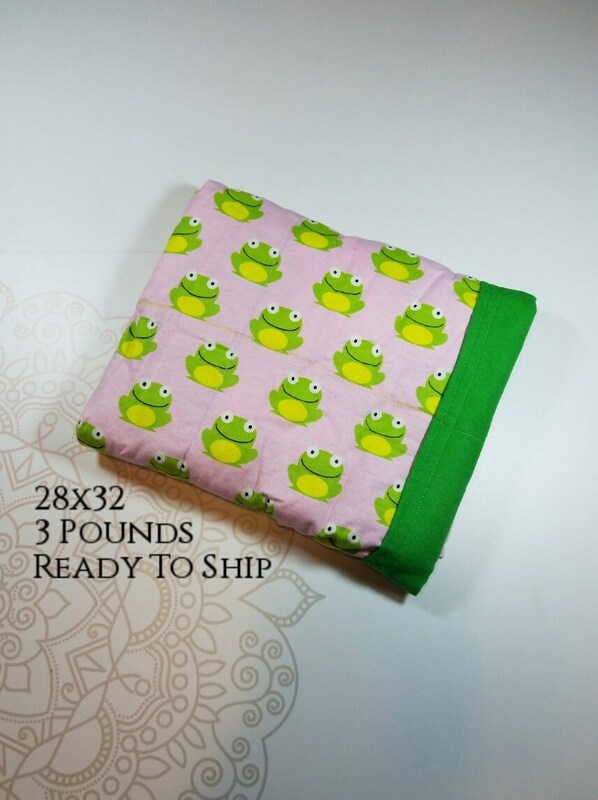 Please inspect blanket periodically as the pellets could be a choking hazard to children. 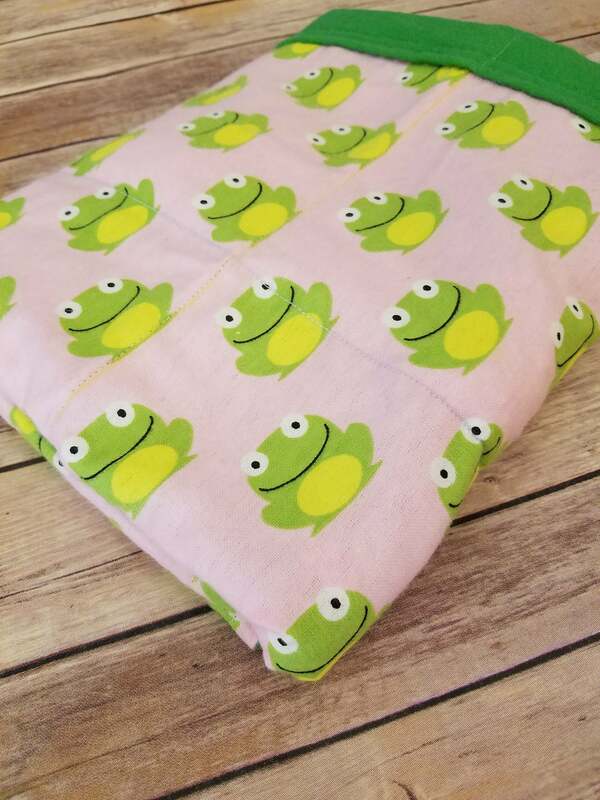 Thank you so much for considering my blankets for your child.